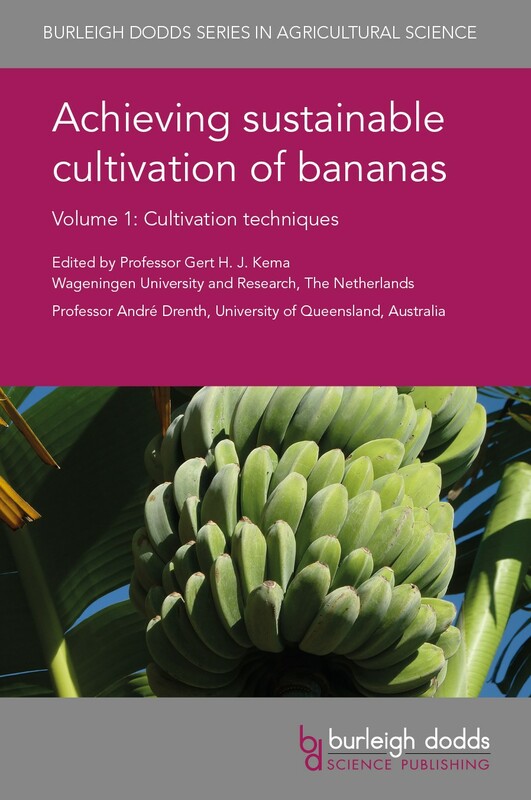 Dr Gert Kema is Professor of Tropical Plant Pathology and Head of the Department of Phytopathology at Wageningen University, Wageningen, The Netherlands. He leads several international banana research programs, including interdisciplinary research projects and public-private-partnerships focusing on Panama disease and black Sigatoka. He is a co-founder of several spin-off companies focusing on banana improvement, disease management and bioprocessing. Dr André Drenth is Professor in Tropical Plant Pathology and theme leader for crop protection in the Centre for Horticultural Science at the Queensland Alliance for Agriculture and Food Innovation (QAAFI), at the University of Queensland. He leads several projects on tropical plant diseases and he initiated and led a national Banana Plant Protection Programme set up to protect Australia’s banana industry from the impact of a range of pests and diseases.